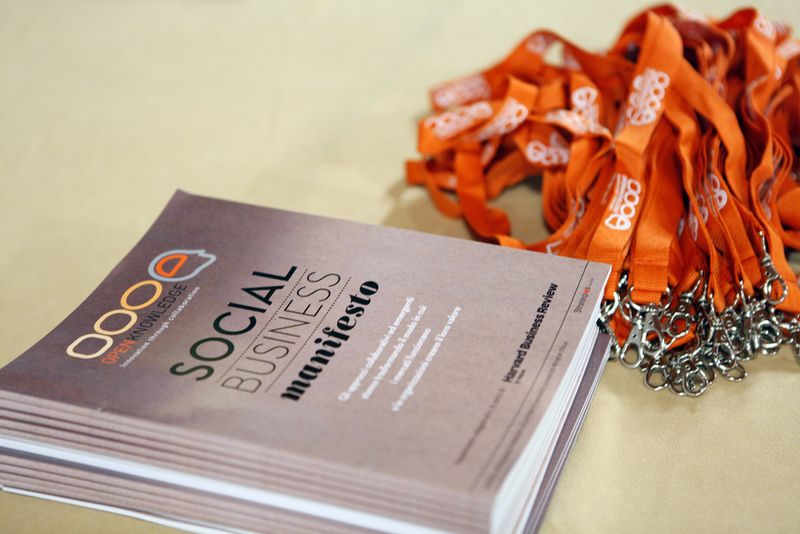 Social Business Forum 2012: Videos for all the Keynotes online! With over 1650 registrations, 65 speakers and 25 partners, The Social Business Forum 2012 has represented another meaningful step both in the growth of our conference and of the european social business domain. During the event we have collected an amazing quantity of valuable insights, contributions and ideas from some of the most active and inspirational thought leaders in the social business arena. We want to share this value with you and for free! A dialogue on Social Business Manifesto where Emanuele Scotti and Rosario Sica (co-founders of OpenKnowledge) picked up some of the theses of the Social Business Manifesto to critically examine both the huge potential and the tricky resistances companies meet everyday when trying to adopt social media as a business accelerator. Each of these theses is a major opportunity to make your organization more adapt to compete in a new, consumer-controlled, community-empowered market. Interested to learn how to distinguish yourself from all of your customers and thrive even in this though economic climate? The amazing talk Stephen Denning gave, titled Transforming the workplace with radical management, provides the answer by covering the major management shift organizations are facing to become agile and delight their customers together with the perils towards becoming more open and social. Believe me. Don’t miss this one! Hope you enjoyed the keynotes of the Social Business Forum 2012. These videos are provided for free so that you can use them in your own work with colleagues, friends and customers. Keep following us for the many other videos we’ll be publishing this week and please let us know any feedback or comment you want to share.